There’s a three-part bill that would both regulate and legalize online gambling from a smartphone or computer. The bills are awaiting a Senate vote before the end of 2018. 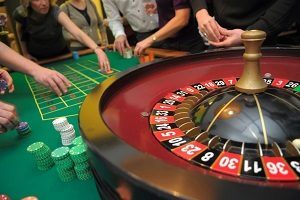 If the bill is approved by the Senate, the three commercial casinos in Michigan, as well as the state’s 24 tribal casinos will benefit. 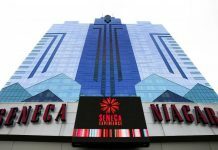 These establishments will be permitted to set up online platforms for gamblers. This will include poker, blackjack, sports betting and online versions of live casino games. The casinos can also choose whether to allow Michigan residents to gamble on college and high school games. Supporters of the bill say this could boost revenues in the state. However, critics say smartphone gaming could lead to problem gambling. With a solid majority, the gambling bill was passed this June in the House. The three-part bill is now awaiting a vote by the Senate Committee on Government Operations. According to federal law, states are not prohibited from regulating online gambling within state borders. As of now, Nevada, Delaware, New Jersey, and Pennsylvania are the only states to have done this. The U.S. Supreme Court ruling in May removed federal restrictions on sports gambling. This includes the use of online licensed gambling platforms. Rep. Brandt Iden, R-Oshtemo Township, a sponsor of the bills, states, “At the end of the day, I want to basically put regulations on the games in the online market and bring the market out of the dark.” Rep. Iden also said, “I think in order to do that we need to put consumer protections in place. 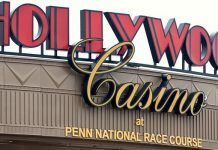 We need to regulate it and then, of course, tax it.” Iden also shared that there are gambling websites that conduct business illegally. These sites are based abroad in most cases, and often refuse to pay winners. These unscrupulous businesses also take advantage of people who are problem gamblers. MGM Casino and Motor City Casino, both in Detroit, support the bills. 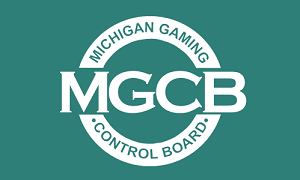 The Michigan Gaming Control Board, however, is neutral concerning the passing of the bill. The Gaming Control Board regulates and licenses gambling at these Detroit casinos. The Sault Ste. Marie Tribe of Chippewa Indians are in opposition of the bill. The National Indian Gaming Commission, the regulating body for all Indian casinos in the United States, didn’t comment on pending legislation. This information was provided by Mark Gaston, one of the commission’s communications specialists. How Soon Does the Bill Need to Take Effect? Iden asserts that the bill will likely come out of the Senate and go to the desk of the governor in the next month or so. The bill will no longer be active if they don’t pass by the year’s end. Iden does admit the changes can increase revenues. However, an analysis by the House Fiscal Agency states that revenues could drop. This may be due to a difference in tax rates with existing legal games. Michigan collects 19 percent of casino gaming revenue and 8 percent of revenue from online games if the bill becomes a law. Iden shares that instead of displacing current gambling venues, online gambling would create more markets.